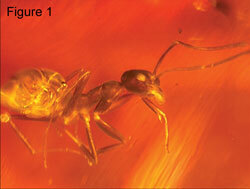 Entombed in amber (Figure 1), this beautiful fossil Gracilidris ant isn’t about to run anywhere in a hurry. How long has it been like that? Conventional dating puts the geological age of such Dominican amber fossils (i.e. amber found in the Dominican Republic, on the island of Hispaniola in the Caribbean) as being from the upper Oligocene or lower Miocene.1 That is, around 15–20 million years old. And with this fossil being the youngest (in fact, the only) specimen of this ant ever identified, the genus Gracilidris has thus been presumed to have been, for many millions of years, extinct. But surprise, surprise. 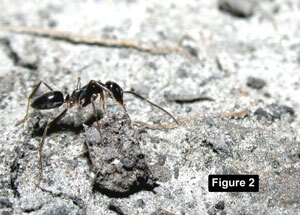 A myrmecologist (a researcher studying ants) who was familiar with the ancient amber fossil happened to recognize its distinctive features in a live worker ant he observed in South America.2 So, Gracilidris is not extinct, but alive (Figure 2). 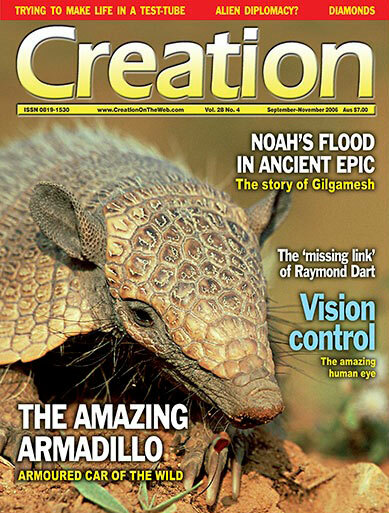 Evolutionists’ surprise at finding such ‘living fossils’ is understandable, given the ‘millions-of-years’ they assume elapsed since the specimens were fossilized.